Today, the mysterious case of the Detective Pikachu release date was solved thanks to an announcement from Nintendo. This highly anticipated 3DS game which centers around a boy named Tim and his tough talking, coffee drinking, investigative sidekick will be hitting stores in the U.S. and Europe on March 23rd. 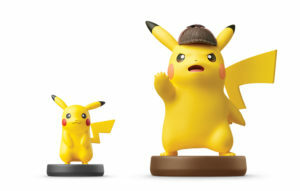 Along with the game, will be the release of a compatible and “extra-large” Detective Pikachu Amiibo for $29.99. This adorable statue will unlock hilarious and helpful content much faster than if you play without it. 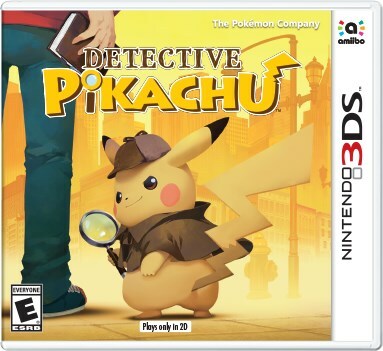 Detective Pikachu will be releasing both digitally and in physical form for $39.99. A live-action movie based on the game, starring Ryan Reynolds as Detective Pikachu, will be hitting theaters on May 10, 2019. Check out the English language trailer for the upcoming game at Pokémon.com.